I love me a good chop, or steak, or piece of chicken with a solid grill mark. It means the heat was high and perfect for searing in all the delicious juices and cooking to perfection. These pork chops require a good soaking (translation: marinating!) and then a few minutes on each side over the direct heat on the grill to get that sear in, and then moved to a slightly cooler side of the grill (over indirect heat) to cook through. Also, don’t forget to let them rest before cutting and serving. More on that in the directions! 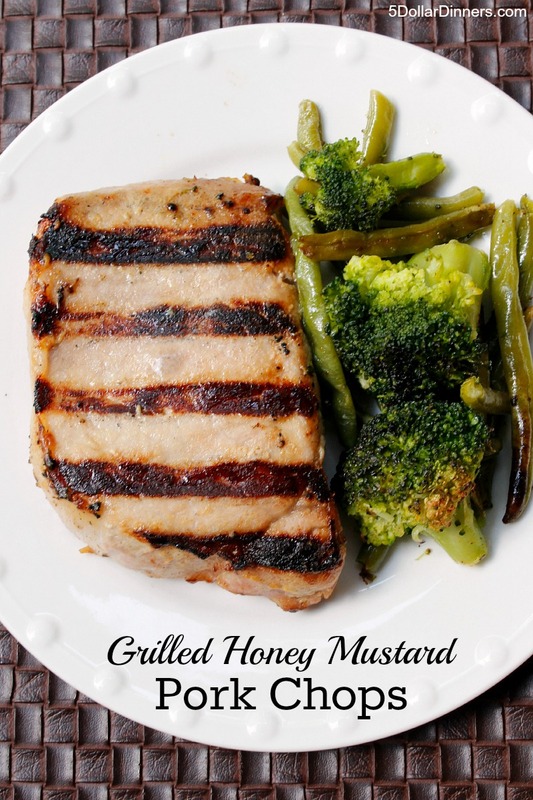 Hope you enjoy these crazy delicious honey mustard pork chops too! In a gallon zipper top bag, combine all ingredients. Shake to combine and coat the pork on all sides. Refrigerate for at least 2 hours. Place the pork directly on the grates. Turn after 5 minutes to cook on both sides. 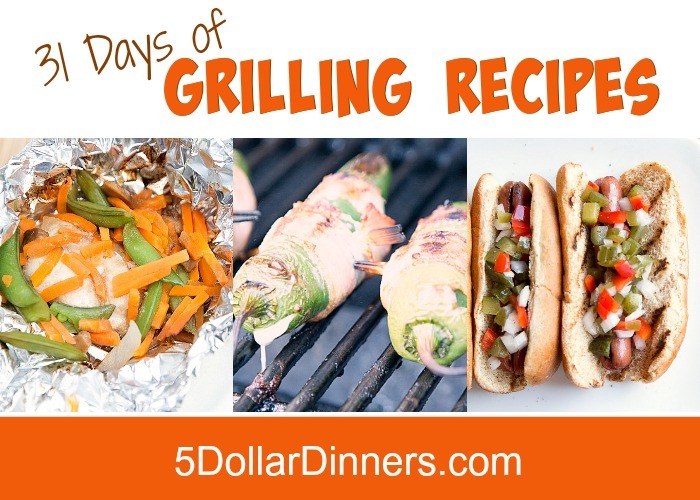 Move to a cooler side of the grill if you need to cook longer to reach optimal temp. 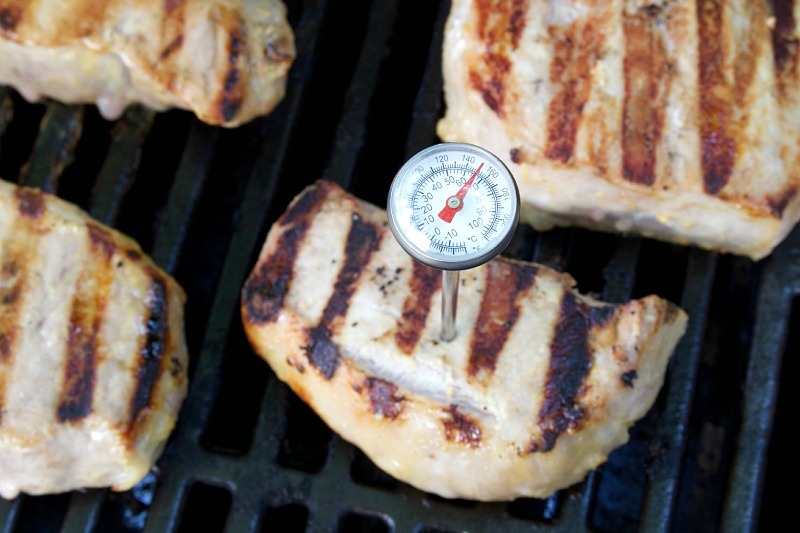 Internal temperature should reach 145 degrees (according to USDA recommendations). Do not go by the color of the meat. The temperature is your best guide. Remove from heat and and allow the meat to rest for 5 minutes before cutting and/or serving. This will let the juices settle so you don’t lose them all when the meat is cut. Serve Honey Mustard Grilled Pork Chops with fresh veggies.